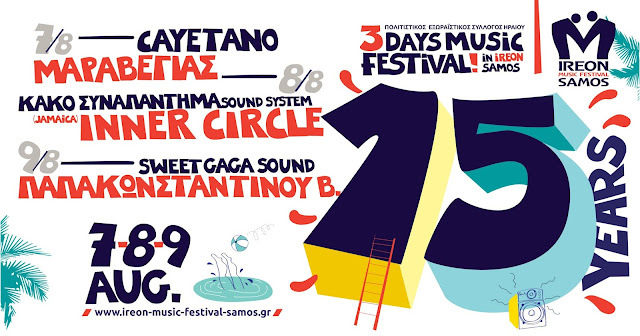 Οι INNER CIRCLE στο Ireon Music Festival 2018 8 Αυγούστου. Γιορτάζουμε 15 χρόνια συνεχούς παρουσίας IREON MUSIC FESTIVAL. Το θρυλικό συγκρότημα των «Κακών Παιδιών» της ρέγγε βγαίνει σε περιοδεία για να γιορτάσει παρέα με τον κόσμο τα 50 χρόνια ιστορίας τους. Με επιτυχίες όπως τα "Sweat", "Bad Boys", "Rock with You", "Young, Wild & Free", "Tenement Yard" (sampled by Jay-Z), οι νικητές των βραβείων Grammy θα ξεσηκώσουν το κοινό παγκοσμίως.Το τζαμαϊκανό κουιντέτο είναι ένα από τα πιο μεγάλα σχήματα στον κόσμο. Ξεκινώντας από τα μέσα της δεκαετίας του '70 μέχρι και σήμερα, αναμειγνύουν τα beats της χώρας τους με την pop και μέσω της αστείρευτης ενέργειας τους κατάφεραν να εδραιωθούν ως οι κορυφαίοι πλέον στο είδος τους. Έχουν συμμετάσχει στα μεγαλύτερα φεστιβάλ του κόσμου ως headliners με ονόματα δίπλα τους όπως Ziggy Marley, Lauryn Hill, Elton John, Van Morrison, Jimmy Page, Robert Plant, Carlos Santana και άλλους.Δίχως να ξεχνούν τον πρώτο τους τραγουδιστή Jacob Miller και με ηγετικές φυσιογνωμίες τα ιδρυτικά στελέχη και αδέρφια Roger και Ian Lewis, οι Inner Circle παρουσιάζουν συνεχή εξέλιξη και συνεργάζονται με τα φτασμένα και ανερχόμενα αστέρια της μοντέρνας μουσικής όπως οι Pitbull, Chance The Rapper, Flo Rida, Rick Ross, DJ Khaled κ.α. INNER CIRCLE, the legendary Bad Boys of Reggae, celebrating 50 YEARS bringing Jamaican music to the world! Georg Leitner Productions is putting together a worldwide tour for Grammy Award-winning Jamaican reggae-pop legends INNER CIRCLE in celebration of their 50th Anniversary in 2018. This is a great opportunity to experience live Inner Circle’s massive legacy with hits such as “Sweat”, “Rock with You”, “Games People Play”, “Bad Boys”, “Young, Wild & Free” “Tenement Yard” (just sampled by Jay-Z), etc. Legendary reggae band Inner Circle is set to celebrate 50 years of music in 2018. Beginning January, 2018 the iconic group known for such hits as “Bad Boys” and “Sweat” will release a documentary, book and album titled “A Long Road to Success”. This Jamaican, Grammy-winning quintet is one of the world’s most respected reggae units with a string of success stretching back to the mid-70′s. Inner Circle blends a special style of pop-oriented Jamaican beats and energy that have made them leading stars of their movement. 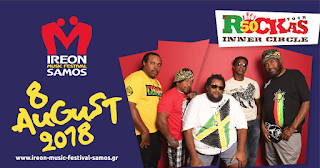 Their spirit through the power of reggae within live performances has allowed the band to transcend the traditional reggae niche and create a widespread crossover appeal. Inner Circle plays at many of the world’s largest festivals, headlining alongside pop and rock music icons such as Ziggy Marley, Lauryn Hill, Elton John, Van Morrison, Jimmy Page, Robert Plant, Carlos Santana, and many others.In commemoration of its former lead singer, the venerable Jacob Miller, Inner Circle will celebrate his contribution to the band and reggae.Led by founding members, brothers Roger and Ian Lewis, Inner Circle has stood the test of time by continuing to innovate and connect with rising stars. Pitbull, Chance The Rapper, Flo Rida, Rick Ross and DJ Khaled are among the pop stars they have collaborated in recent years. They also connect with the young, rising stars out of Jamaica such as Chronixx, Kabaka Pyramid, Jo Mersa Marley and Hawaii’s Grammynominated reggae star J Boog. Naturally, music runs through the veins of a next generation of Lewises. Rapper LunchMoney Lewis, son of Ian Lewis, just went Gold for the single “Bills”. Inner Circle continues to link with their fans via social media. They are very active on Instagram and Facebook. They will also be celebrating over 25 years of "Bad Boys" being the theme song for "Cops", the longrunning reality show which is still on air today. More information regarding the 50th anniversary will be released shortly.